Once I'm done and done with the Flo revamp, it will be time to move onto my next trailer. 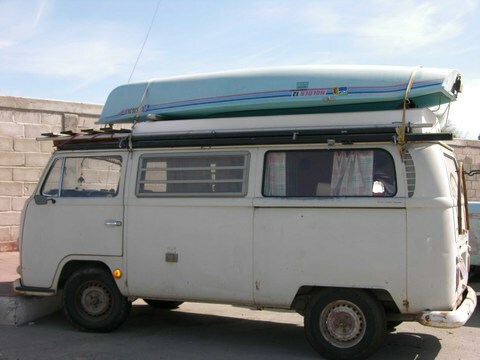 Remember the little 14' solar trailer I cruised thru Mexico with and then sold to a sweet gal on the make for her own nutty adventure? I miss that trailer and the life I was living in it like crazy - just complete and utter streamline of life on wheels. However, the airstream's are pretty dang nice. They're so sassy. So clean. But, of course the question becomes - do you buy an old one and gut it and make it like you want it? Or, do you take the simple route and just buy a semi-new one with all the tricks already in place. Custom would for sure be the way, but man after the sailboat flip out I've been doing, and then FLO this summer - who the heck knows. I might be ready to hurl myself off a cliff. I just know I really like mobility. I must. Nothing is on the ground. What is that?!?!? It's an addiction for sure. 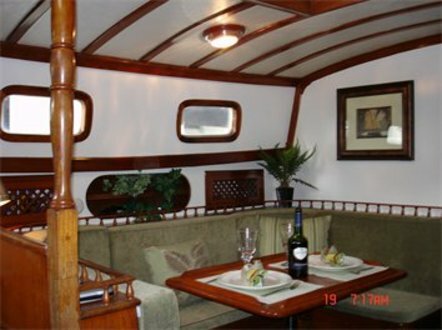 But, better that than most I'd say...but a nice little 23' Airstream would be a real good way to make my way up and down the coast of Baja. I guess you can never really plan how life is gonna shake down. I mean, for real. 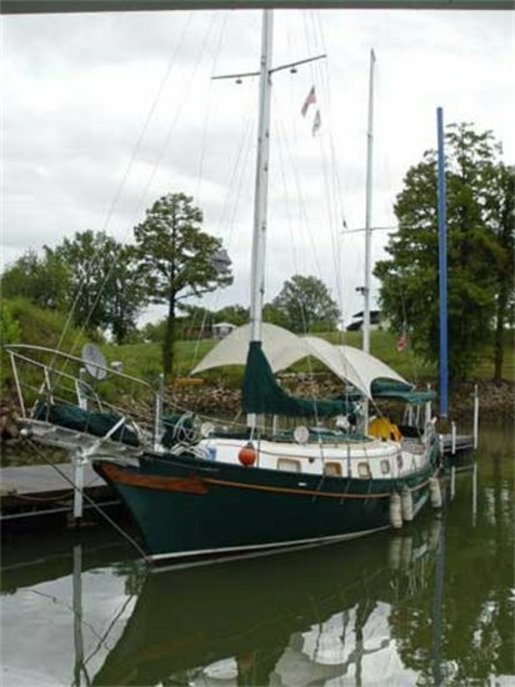 Here I was trolling the net yesterday before my flight to Chicago--in full obsession about boats--when I laid eyes on this 40' sailboat for sale. Complete and utter love at first site. 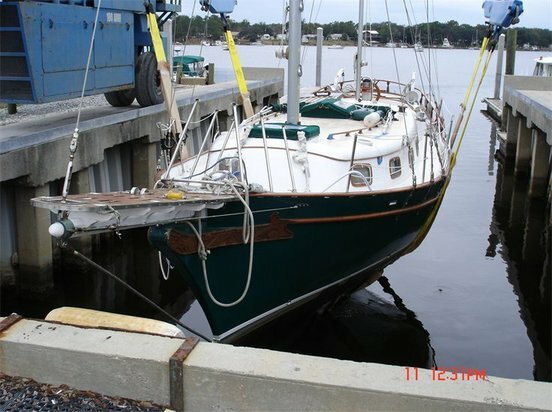 It happened to be close to where my parents lived so before I got on the plane, I called them and said...PLEASE go look at this boat, and if you love it like I already do, then I am buying it. Well, I landed in LA and guess what message was waiting on me from my Dad? 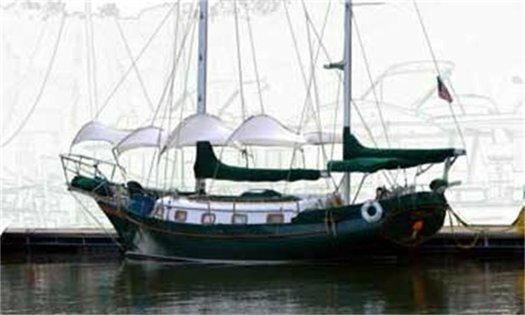 Yup..Misty is the new owner of this amazing vessel. Who the hell knew! This is literally a dream boat and I cannot wait to get to know her. In all my travels, no matter how far I go, I always run into at least one American that has uprooted their life from the USA and bolted. Started over. Moved to a totally foreign land and become an expat. Even if it's just for 6 months out of the year. They are just simply all over the place. I mean, why would you live in the USA full time when you can live like a champ in the tropics of Indonesia for 1/5 of what you pay to live in some cookie-cutter suburb? Why drop $15 on lunch every day when you can spend $2 on the best fish tacos you ever had in Baja? Why drop $500 for a car payment when you can tool around back alleys in Greece on a $500 moped? I've seen Expats doin' it every which way: Living on the beach in Baja out of campers and tents, house-sitting in small villages dotting the coast of South Africa, holing up in tiny apartments in Spain overlooking the marina, relaxing on their postage-stamp size terrace on island villages in Greece sipping a cafe and attempting to learn the language, snatching up old villas in colonial Mexican cities and fixing them up, selling all their crapola and on a whim investing in 40' sailboats so they liveaboard and cruise the world. The options never really end. 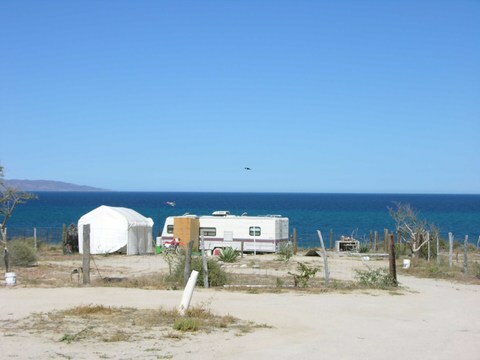 Some people just choose to live differently...and I still think one of the coolest places to drop out is down in Baja. Most people have only been either to Cabo, Rosarito, or Ensenada, but the very best of Baja can be found down on the magical Sea of Cortez. It's still so remote and untouched and if you are self-sufficient, you can live a rollicking good life for practically nothing. It's all about the beach, the boats, the snorkeling, the kayaking, the fishing, the beer and the tacos. Not much else. Mulege and Loreto are a couple of cool towns that have some amenities, some quirky expats and some excellent (and cheap) living options. 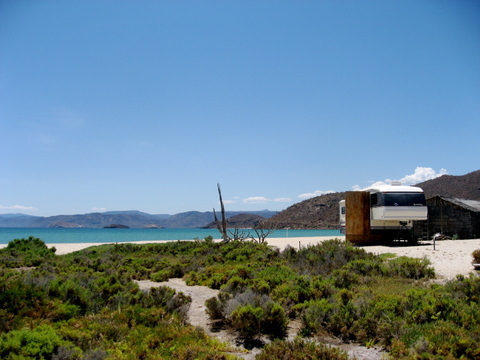 But, if I had to do it, I'd stay right in Bahia Concepcion in my little trailer...as close to nature as possible. 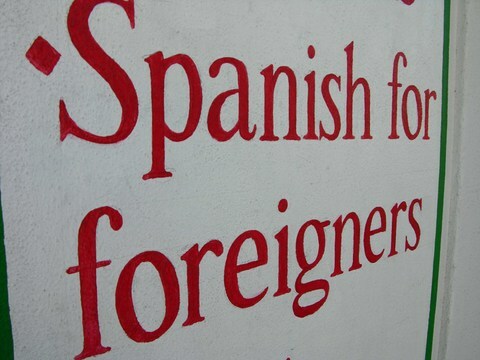 I'd dive into some intense Spanish classes. I'd eat fish every single day. I'd remaster the art of a perfect margarita. I'd read 'til my eyes crossed. 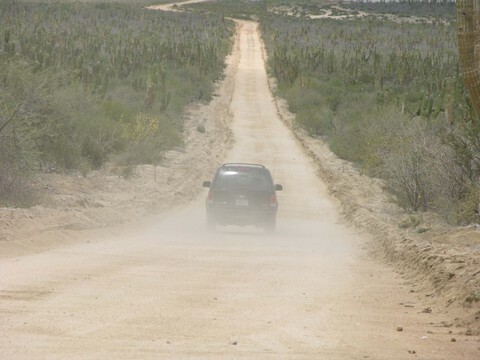 I'd explore dusty dirt roads that led to nowhere. I'd snorkel with fishies and kayak from bay to bay, camping out each night. When you choose to live a little bit on the untraditional side of life, it's simply an investigation into what you are truly made of. Why would you not want to challenge that part of your soul? British Virgin Islands Are a Sailor's Paradise, eh? 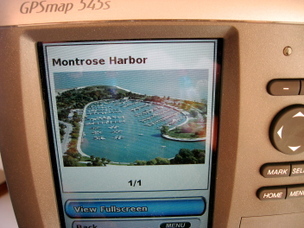 I think that Montrose Harbor is the most beautiful harbor in Chicago and I just got so lucky this year to have my boat there (star dock). Usually you end up with a bouy down at Monroe, but somehow the God's were shining on me and I ended up at Montrose, just a few minutes from my place. Monday is the day the boat comes out of the water (yikes) and goes on the hard for SEVEN months. What a full catastrophe! But, I'm blazing on and on for the hunt for a new vessel--one already located in warm, tropical weather. After my trip to the BVI's in a few weeks to look at a 36' Cabo Rico, well..you just never know what will happen. Those are the sort of last minute, just-feels-right trips that spurn full life changes, you know? 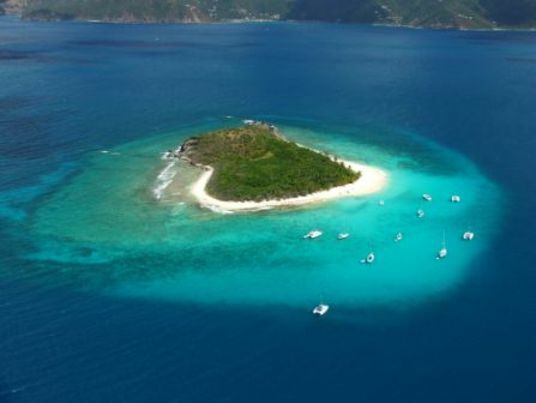 Here is a lovely photo of the BVI's, the playground for the new boat I'm checking out. I mean, I love Montrose, but man....this is some primo stomping grounds (see pix below). Could you imagine taking some time (lots of it) off and just cruising in these waters? 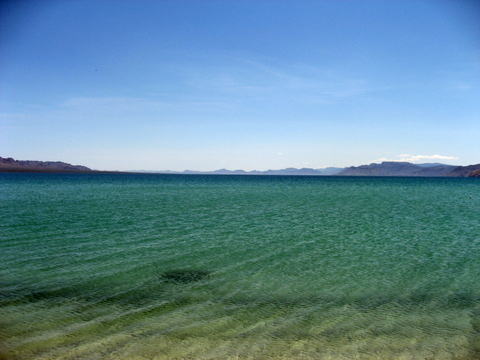 Bahia Concepcion: Palapa for Sale--CHEAP! 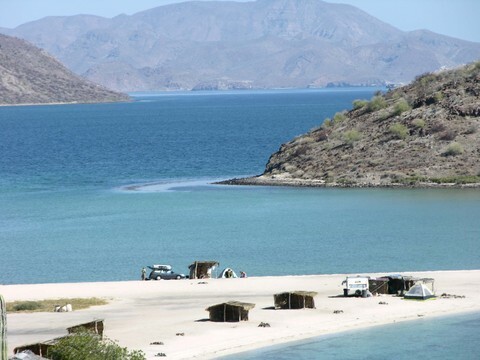 Up and down the stunning Sea of Cortez are palapas just like this one. Expats come down, get a taste of the cheap good life and never want to leave, so what they do is build a little palapa--either freestanding or around their motorhome. 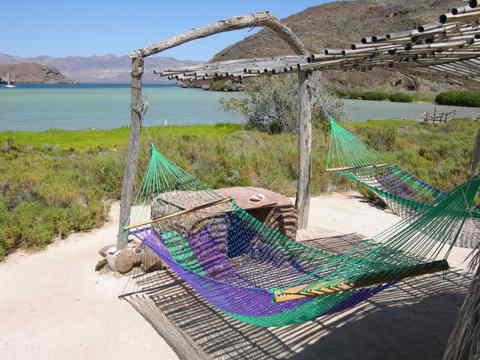 This adorable one, which is for sale (29k), is in the Playa Arena area in Bahia Concepcion (it's about 12 miles south of Mulege). It's one of the best I've looked at and I almost bought it myself. It sits back a little bit from the crystal blue beach and has an open kitchen, 2 bedrooms, a living room and a breathtaking view. The little strip of beach is protected by a small gate and guard who lives on the property and there are about 15 other palapas directly lining the beach. The best, though---it's all solar! I just love it and if you want the email of the couple who is selling it, lemme know...but, keep in mind, you never own the land on this particular property--just the structure. 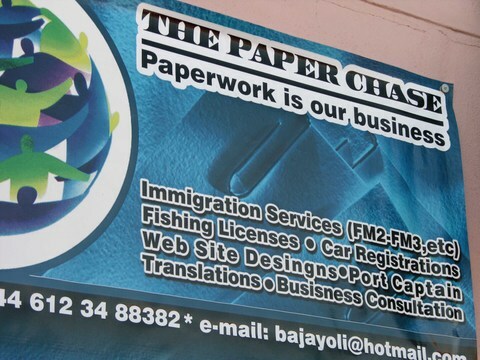 This type of deal is seen up and down the coast, so its wise to do some research. But, man...the more I write about it, the more I just want it! *The photos below are of the view from the palapa and the beach it is on...just amazing. The very idea of living on a sailboat makes my heart thump. Be it for a month, a year or forever, this sort of living is definitely on the horizon for me. You know, you work your bootie off, you pay your bills, you save your money, you daydream about sunny skies and beach living every single day and then someday...wham! you are just ready to make the commitment. I am not quite there yet (just by a hair, though) because I am having too much fun at my current job and loving my new place on Lake Michigan too much....but still, the dream still grows and evolves and seems to just get better and more refined as time passes. No matter where I go (if it is coastal), I always scout out the marina just to see whats doing. 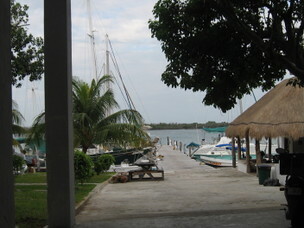 The El Milagro Marina on Isla Mujeres is way cute and right up my alley. Unfortunately, it is much more expensive to dock there than other places in Mexico ($1 per foot--PER DAY), but they do have a fantastic little set up...very user friendly, amazing views, tiny community, clean showers and toilets and some local fisherman who swing by with the days catch on a regular basis. If you are down that way, check it out for sure~it's definitely what dreams are made of! I was walking through the tiny village of Candidasa on the Eastern Coast of Bali when I spotted this beautiful home. A couple of American's were plopped on the front porch enjoying some morning tea and reading the paper. Spying on them all cozied up in their little Balinese compound...for a fleeting moment, I was insanely jealous. That is, until it hit me--Misty, you could have this, too~ A house in Bali is blisteringly cheap. You lease the land from the locals and build whatever you want, but the way to go is to buy an already perfectly structured Balinese-flavored home. Think about this for a second--3 bedrooms, a lush garden, a large swimming pool, 2 bathrooms, all completely furnished (or not) for about 75k. Or less. Depending on where you are in Bali. My favorite village was in the mountains--the cultural center of Bali--Ubud. This lovely home in Candidasa was right by the crashing surf of the Indian Ocean. Imust say, this little island trumps even Mexico and every other place I have been in the world in terms of value for your dollar and I can see why so many expats call it home. I am now plotting and planning my next winter in the US. I can tell you right now, I wont be hanging in Chicago. **Oh, and for about a hundred a month, you get a 2-person staff--maid and chef. Christ! Now that the weather in Chicago is totally freezing, I'm headed out of town for a bit to this tiny, remote island in the middle of the Caribbean. I'm super-excited (mostly cuz I'm shooting a TV show), but also because I'm ready for hundreds of mojitos, freshly caught lobster, lots of sunshine and snorkeling. 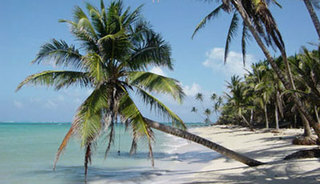 The island is called Little Corn Island and is just off the coast of Nicaragua. Very off-the-grid. 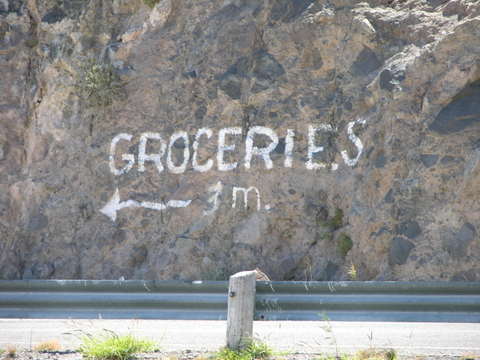 Next week (after Monday), I won't have any postings, but I'm sure to have many tales and foodie stories upon my return. That is, IF I return. I think you know what I mean~I feel like this place will definitley make my Perfect Place to Live list....stay tuned for that one. Last night, I went to bed thinking about this exact location along the Sea of Cortez, Bahia Concepcion (really, if it all goes south, I'm hitting the road and heading here--a patch of sand on this tiny atoll is free or just a few bucks a night). This is one of the most beautiful places on Earth, as you can see from the picture and really, the perfect place to spend winter. 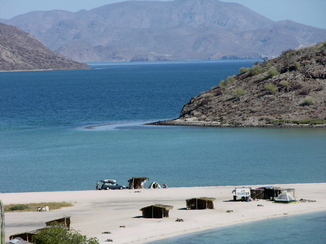 Baja is cheap, accessible (the drive from LA is easy), friendly and another world away. I sent the picture into an online travel magazine, The Worn Shoe, to be considered for their Photo of the Month and it won, which is awesome, and not too unexpected...due to the fact that Bahia just simply takes a great photo; the very thought of her incites wanderlust, joy, adventure and hope (especially as the dark days of winter start to show face). The Portuguese have a perfect word for how this picture could make one feel: saudade. It means, "a longing for what never was and deep desire for its return." That word filters through my mind often, as I crave the beaches of Mexico, the hills of Italy, the remoteness of Greece, lazy naps on my sailboat, and truck camping in Baja. Right here, in this very photo, is where I'd set up shop; after all, Ana's Restaurant (an awesome fish taco and margarita hut) is just around the bend. And, in the end, that's all I really need: fish tacos, margaritas, my truck, the Sea of Cortez and a sky full of stars. This past spring, I did a full 7k road trip from Chicago to the tip of Baja, and if you've never done that, I must recommend it. 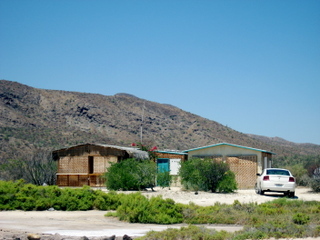 There are awesome little hotels like this one the Baja Cactus Motel in desolate El Rosario) along the way that are about $30 per night and make for perfect pit stops (try full move in). For some reason today, I can't seem to get Mexico out of my head (again) and I've hatched a new plan. Why not road trip all the way down through Central America? Surely, it cannot be that hard and with winter fast approaching, why not? All you need is a vehicle (an SUV is best, because you can live out of it, if needed), a bit of dough (it's cheap as hell there, though) and some time on your hands. The stories, mishaps, adventures, and madness that would spill out of that trip. Guaranteed, you'd probably not want to come back to the US. By the way, I love Baja...if you want to read about my crazy adventures down there last spring filming a TV show, "Tracking Expats", click here. That country just gets into your bones, for sure.